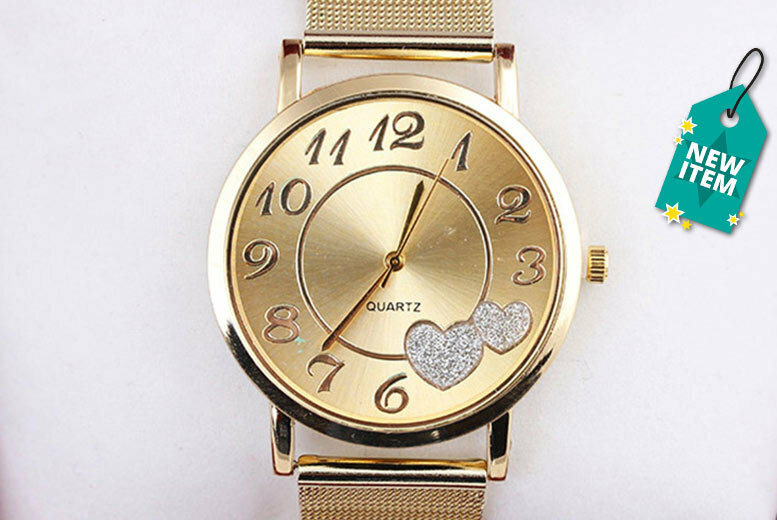 Treat yourself or a lucky lady to a gold-coloured love heart watch. Embellished with cute heart detail. Dial measures 3.8cm in diameter. On a high-quality, stainless steel strap.